Scenario: Mr. Osgood, the Chief executive officer of a computer software company is found to have died from a heart attack. Conan finds it strange that Osgood was sweating a lot in his death, and that flowers delivered the day before died. 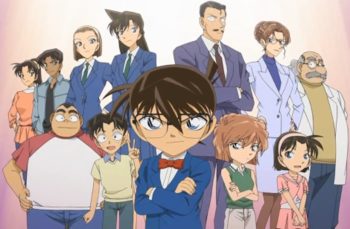 Conan notices that Ken, Osgood's driver, is the only one with a motive. While talking with Ken, he reveals he planned to start his own software company but became ruined due to Osgood. Conan realizes that the heart attack was caused by thermal shock in a short period of time noting the dead flowers and solidfied chocolates. 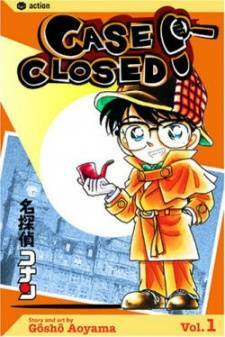 Using the bowtie, he uses his voice as Jimmy Kudo and calls Inspector Juzo Megure and Kogoro to Ken's house where Conan drops subtle hints to reveal Ken as the murderer. Using the evidence that Ken took Osgood's cat home with him that day, Ken confesses to murdering Osgood by hacking the computer that regulates the houses temperature and turns himself in.